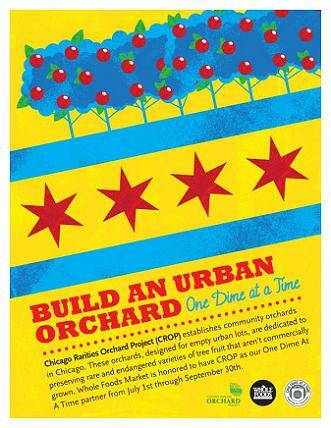 Chicago Rarities Orchard Project (CROP) is a non-profit organization founded to establish community rare-fruit orchards in Chicago. These orchards, designed for reclaimed spaces, are dedicated to preserving a few of the thousands of varieties of tree fruit that aren't commonly commercially grown, while providing open space and educational opportunities to Chicagoans. It'll still be a long time before we're all sitting in the shade, eating apples. In the meantime, we've been working closely with NeighborSpace and the City of Chicago's Department of Housing and Economic Development to acquire our first orchard site. Our design is intended to balance accessibility, careful management, and beautiful garden design. An open landscaped plaza along Logan Boulevard activates the intersection of Logan and Milwaukee. Continuing along Milwaukee, a community managed orchard will be open to the public during volunteer hours throughout the week, through public special events, and programmed in coordination with the Farmer's Market. The winter is nearing the end, so that means it is time to graft! We will hold a grafting workshop open to the public this April. Thank you to everyone for coming out this past Sunday, and THANKS to Comfort Station for hosting us! Keep in touch for next year's grafting workshop if you are interested in learning how to graft. Join us for a FREE hands-on workshop to learn about fruit tree propagation and how to graft. 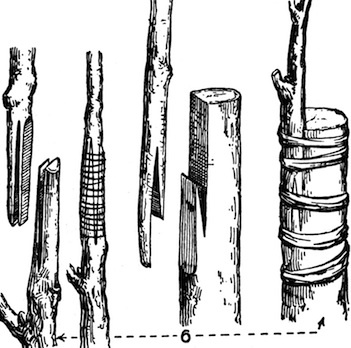 Apple root stock and scion wood will be available for purchase at cost if you want to try your hand at making a fruit tree that will produce in 4-6 years, but the instruction is free! Please bring a utility knife with fresh blades or a grafting knife. Grafting-specific knives will also be available for purchase. Please bring cash or check if you plan to purchase any of the following: Root stock ($3) Scion wood ($2) Grafting knives ($18) Please contact crop@chicagorarities.org with any questions. We partnered with Whole Foods for their One Dime at A Time program in 2013. We want to give them a BIG THANKS for supporting the work we do. Every dime helps! To keep up to date on what CROP's getting into, get on our mailing list! We are always looking for ideas, input, and partners. Follow our Facebook page or get on our mailing list to keep up to date on what and how we're doing. Want to contribute to CROP? Click here.